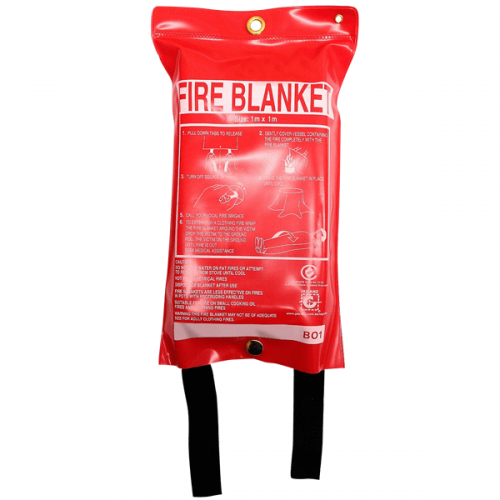 Buy 1.2m x 1.2m Fire Blanket - Lowest Price Online! 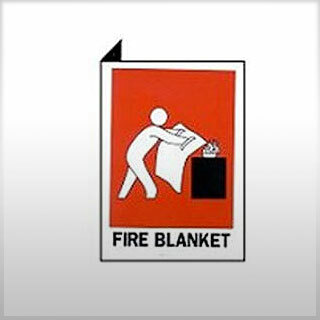 Our high quality 1.2m x 1.2m fire blanket is ideal for offices, home or small kitchen use. 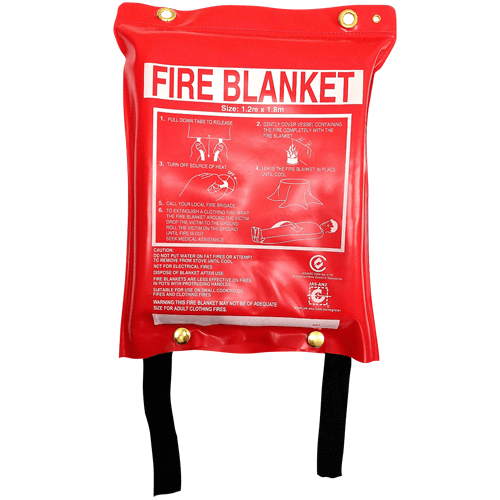 The fire blanket is fixed using a simple single fixing such as a hook or screw. 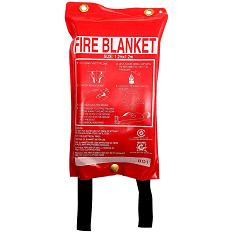 Fire blankets, along with fire extinguishers, are fire safety items that can be useful in case of a fire. A fire blanket should be kept in your home/office kitchen, in your caravan, boat or near any area at risk of ignition from cooking fats or oils. 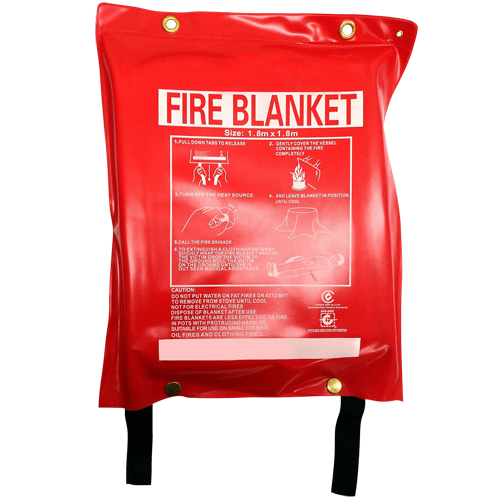 Our fire blankets are made from fire resistant material designed to extinguish or smother a fire when used. When ordering, choose a larger blanket if you require safeguarding from a commercial kitchen fire or industrial hazardous product. Our fire blankets come in 4 sizes and can be used in commercial or domestic applications. Fire blankets should be identified from a distance by installing an identification sign at your fire blanket 1800mm from the floor level. 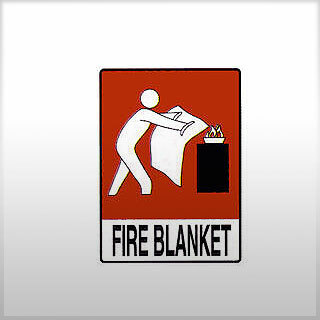 When can I use this fire blanket? Our fire blankets can be used in residential, commercial and industrial applications. Class F Fires – Extinguishing fires involving cooking oil and fats, in the kitchen or workshop. Other uses – Fire blankets can assist in putting out clothing in the event of an accident in your workshop, kitchen or factory. The Australian standard (AS2444) for Fire Blankets requires that identification signage is installed above the Fire Extinguisher. Rest assured your new fire extinguisher comes with 1-year manufacturing warranty. All our fire equipment is tested and certified for compliance and test certificates can be obtained by contacting our office. Our shipping costs are calculated at check out. As a general guide we can ship to the CBD for $15.00 with freight nationally from $15.00 to $ 50.00. Purchase your Fire Blanket today! You won’t find a better price online. Want to learn more about Fire Blankets? Check out our blog post for a detailed guide!